The entry list for the 10th round of the FIA World Rallycross Championship at the Circuit of The Americas in Austin, Texas (September 29 – 30) has been revealed by the FIA. World RX’s first ever event in the USA will feature a line-up of 15 permanent teams and drivers, competing on the new permanent rallycross circuit that sits as part of COTA’s Formula 1 layout. Reigning World RX Drivers’ and Teams’ Champions PSRX Volkswagen Sweden will field it’s Volkswagen Polo R Supercars for Sweden’s Johan Kristoffersson and Norway’s Petter Solberg. Team Peugeot Total will run three Peugeot 208 WRXs for France’s Sebastien Loeb and Swedish brothers Timmy and Kevin Hansen, while EKS Audi Sport will continue its 2018 season with Sweden’s Mattias Ekstrom and Norway’s Andreas Bakkerud in a pair of Audi S1s. GRX Taneco Team will be in action with its Hyundai i20s, driven by Russia’s Timur Timerzyanov and Finland’s Niclas Gronholm as Swedish pair Kevin Eriksson and Robin Larsson will challenge in their Olsbergs MSE Ford Fiestas. In its first World RX season, GC Kompetition will run a pair of Renault Megane RS RXs for France’s Guerlain Chicherit and a yet-to-be-named team mate, as Latvian’s Janis Baumanis and Belgium’s Gregoire Demoustier will race as individual entrants for Team STARD and Sebastien Loeb Racing. 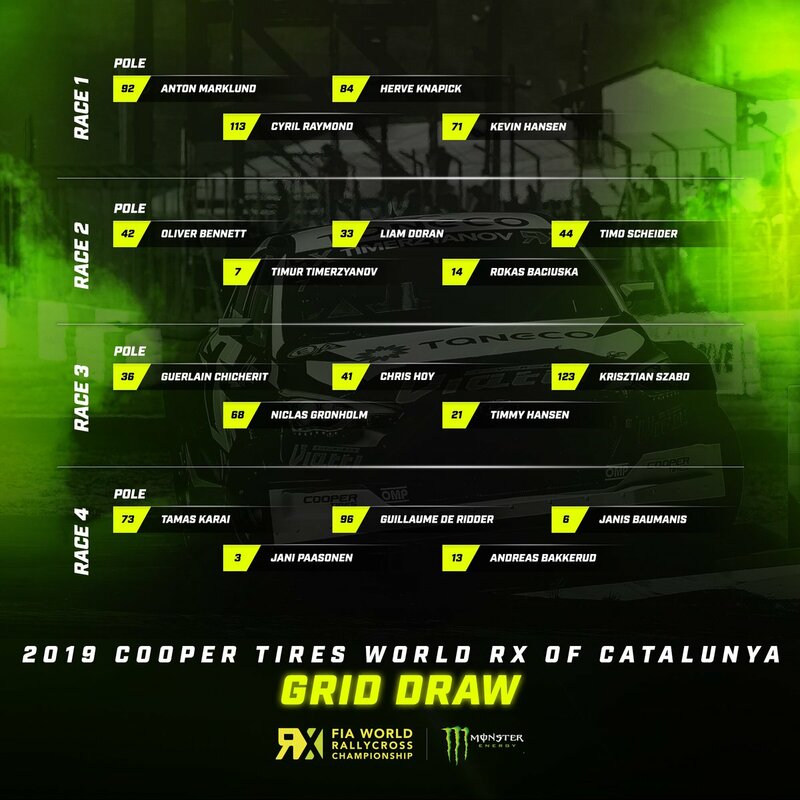 The World RX of COTA will also feature the final round of Americas Rallycross and the ARX2 support category, the entry lists for which will be released in due course. Find the COTA World RX entry list here.